Getting a dog to stop pulling on their leash is one of the most common reasons that dog owners reach out to Sarasota Dog Wizard for help. You see it more often than not: dogs are walking their owners, rather than the owners walking their dogs. Going for a walk is not enjoyable when it feels like your dog is pulling you faster than you can walk. It doesn’t have to be that way, though! Any dog can learn to walk confidently and comfortably on a leash without pulling. It is important that a dog learns that their owner is in control. Dogs will pull on their leash for a variety of reasons in response to the stimuli in their environment; however, most commonly, a dog pulls because they feel a sense of reward from it. 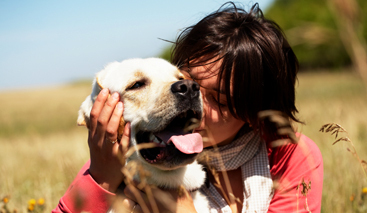 Each time a dog pulls on their leash, it is the owner’s natural reaction to walk faster in order to loosen the tension. The dog interprets this as positive reinforcement and that is why they continue to do so. Training a dog to walk properly on a leash is not necessarily difficult, but it does require consistency. A dog must first understand the basic obedience commands and know that they must “heel” behind their owner. The heel command is not a natural way to walk on a leisurely summertime stroll, but once a dog is able to maintain control and respect the boundaries set with the heel command, it is possible to introduce the loose leash walking technique. Change direction. If your dog starts to pull, quickly change direction in order to not allow your dog to pull in his desired direction. Leave slack. 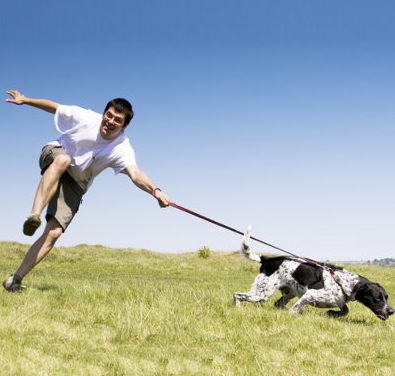 Resist the urge to take up slack your dog creates when loose leash walking. Your dog won’t learn how loose leash is supposed to feel if you create tension in the leash. Reinforce good behavior. Use treats, verbal praise, a clicker or other tool to reward your dog when he isn’t pulling. At Sarasota Dog Wizard we prefer using verbal praise since it’s something you always have with you! 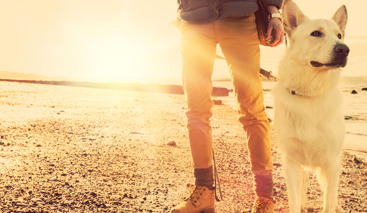 Loose leash walking is more comfortable and relaxed for both the owner and the pet. It allows the dog freedom to explore and sniff, so long as there is no tension on the leash. A dog that has been successful loose leash trained will be able to walk naturally at their owner’s side, slightly behind, or even slightly in front, without pulling or putting tension on the leash. 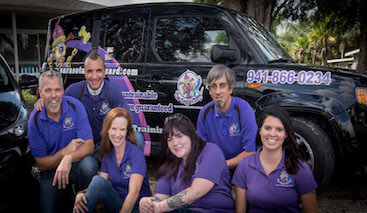 With the help of the professional dog trainers at Sarasota Dog Wizard, any dog can learn loose leash walking.